In Israel East meets West. Their jewellery traditions blend, resulting in creative innovations. In the 1930s, immigrants from Germany and other European countries introduced the spirit of the Bauhaus, while oriental craftsmanship was invigorated in the 1950s and ?60s by immigration from Islamic countries. State jewellery companies preserved traditional crafts, while at the same time developing a new and elegant style, designed to express the national identity of the still young state of Israel. 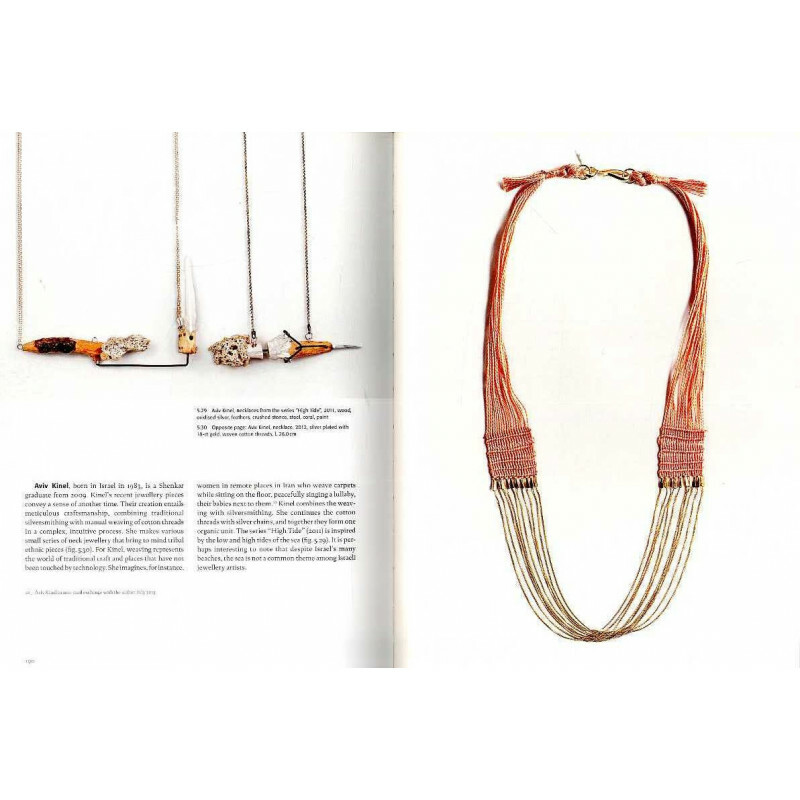 There are important links between native jewellery makers and European and American jewellery artists, who were guest lecturers at the Bezalel Academy of Art and Design in the 1970s and had a lasting influence on Israeli artists. 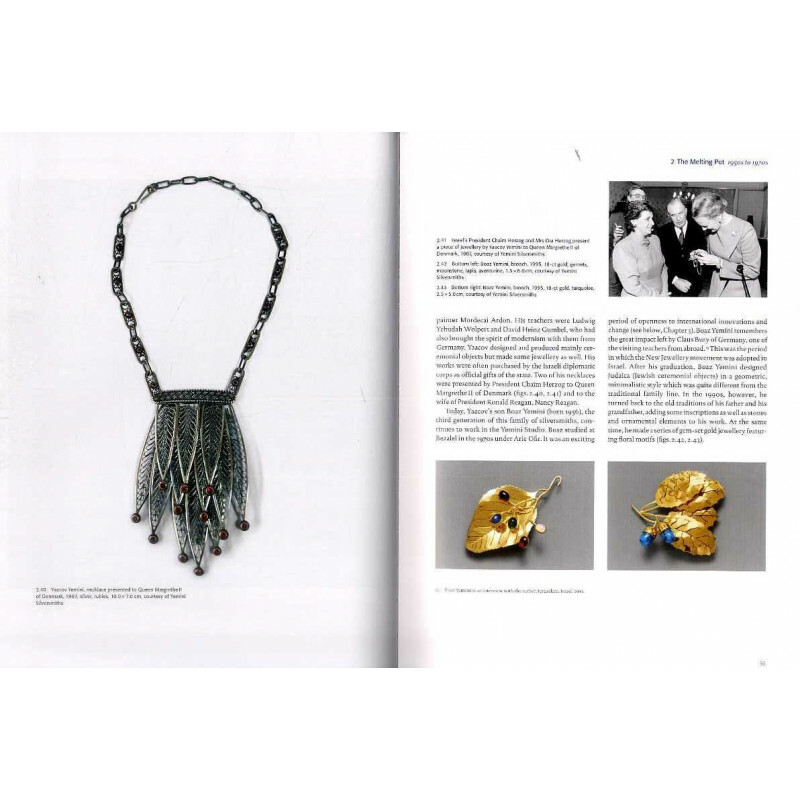 The transition to art jewellery was finally completed in the 1980s, paving the way for artists who are now internationally renowned, such as Bianca Eshel Gershuni, Esther Knobel, Deganit Stern Schocken and Vered Kaminski, whose works are presented here in detail. A further chapter in this comprehensive presentation of Israeli jewellery art is dedicated to contemporary works by some outstanding young artists. 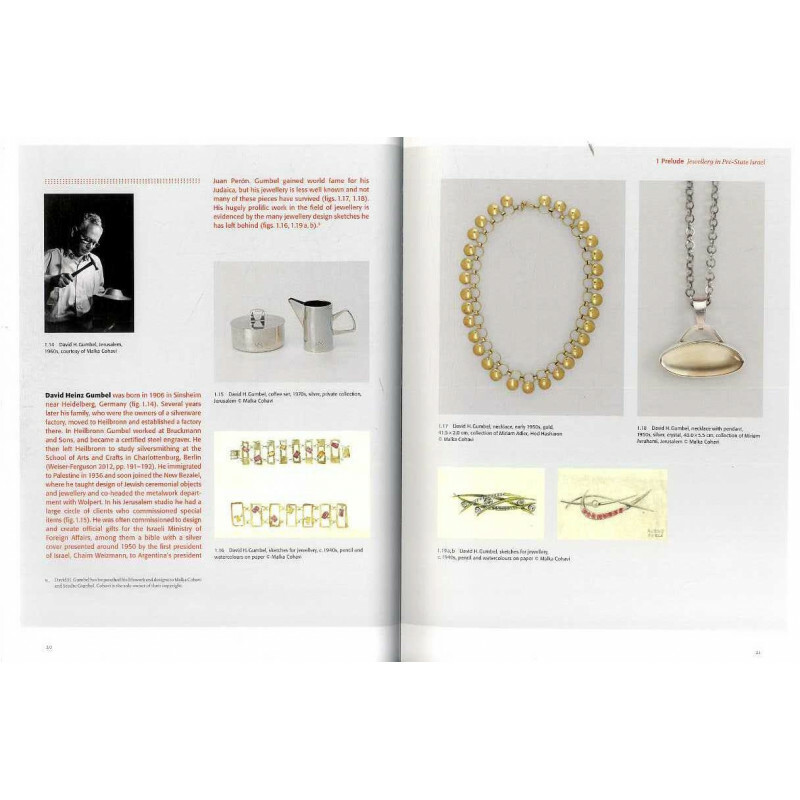 Although their works are part of the global jewellery scene, they are also dedicated to their homeland, for example through unequivocal references to local political tensions.  About the author: Dr. Iris Fishof studied Art History at the Hebrew University of Jerusalem. 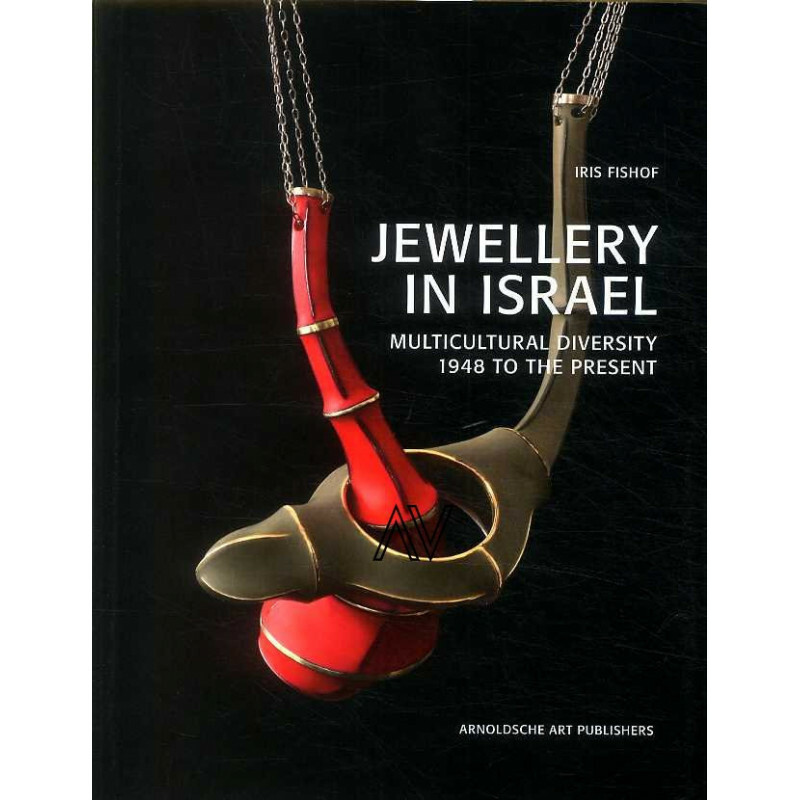 From 1983 to 2003 she worked at the Israel Museum, in Jerusalem, as Chief Curator of Judaica and Jewish Ethnography. Since 2005, she is a Senior Lecturer on jewellery at the Shenkar College of Engineering and Design in Ramat-Gan.